What is a hybrid humidifier? A hybrid humidifier uses two adiabatic humidification methods. An atomizer unit and an evaporator unit are used in parallel to achieve a lasting combination solution to problems which would arise from using only one of these units. 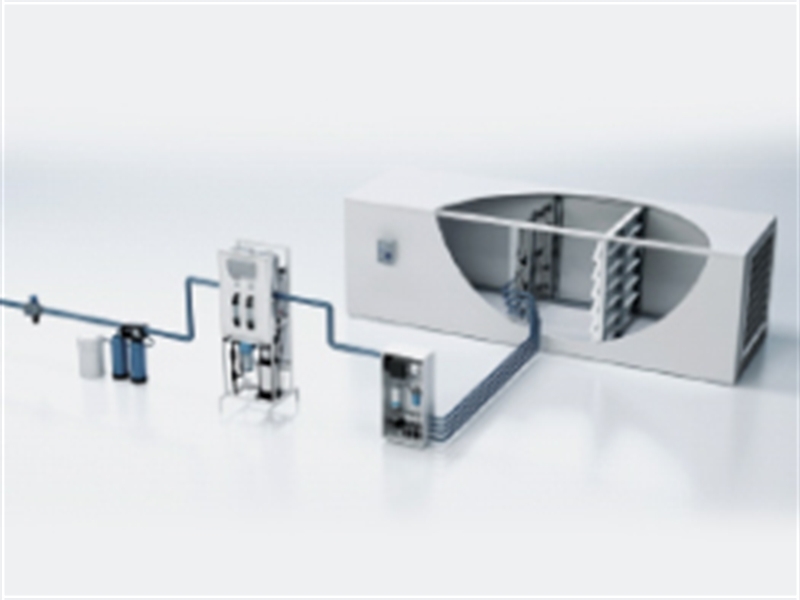 This allows hybrid humidifiers to achieve an outstanding level of hygiene quality and a highly economical mode of operation. A hybrid humidifier is equipped with an evaporator unit made of highly porous resistant ceramic elements with a large inner surface. Molecular atomizing nozzles are distributed evenly over the entire surface of these elements. The nozzles are full cone nozzles which are supplied with deionized water coming from a small pressure booster pump which uses treated water (between 4 and 8 bar). (If a water treatment system with a frequency-modulated pump is already in use, the pressure booster pump can be omitted here if necessary). For reasons of hygiene, the humidification water is demineralized after it is softened, by means of a reverse osmosis unit. Effective, preventive disinfection of the water must also be carried out in order to effectively prevent microorganisms from spreading. The HygienePlus concept with its patented silver ionization system has proven to be an effective way to ensure hygiene quality over the long term. The ceramic plates can be easily removed and cleaned using high-pressure cleaners (up to 30 bar) and are reusable over the life of the unit. The combination of atomization and vaporization allows for optimal use of the humidification water provided, and the resulting excess water quantity is very low. The unit can therefore be left out in the open (also for reasons of hygiene) and no longer needs to be supplied from the humidification water cycle. In order to prevent standing water, each spray circuit which is not active is automatically emptied via its corresponding spray valve (spray valves are connected to the drain outlet when the unit is in a dead state). If the conductivity in the supply line is exceeded or if the humidification system has not been required for more than 23 hours, a flush valve opens and the demineralized water supply line as well as lines in the central unit are flushed with demineralized water for a given period of time. During this flushing process, any residual water which accumulated from the spray circuit lines is sucked out via the built-in water jet pump. The germ diagram points out the rapid propagation of microorganisms when no appropriate steps are taken to contain them. 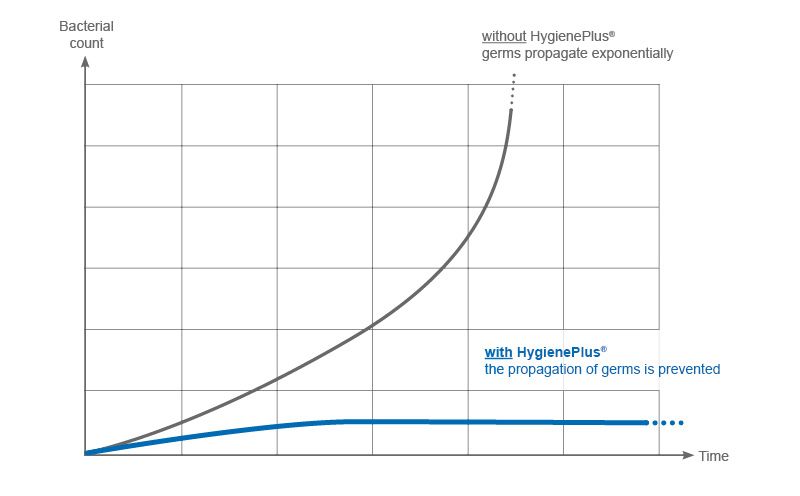 The HygienePlus® concept relies on natural germ control using silver ions for germ neutralization and prevention. 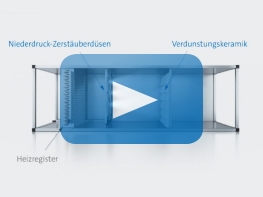 The electronic controller with automatic capacity monitoring ensures the exact dosage with constant disinfection action. 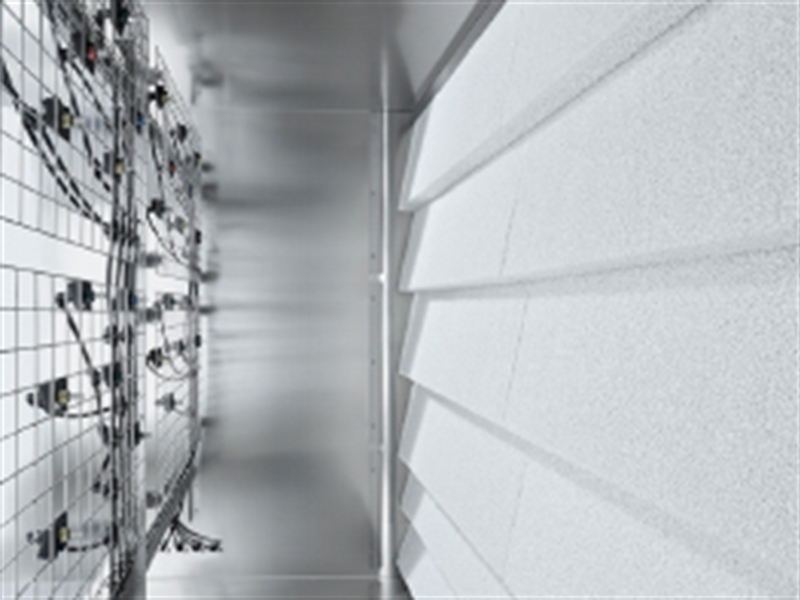 The silver ions ensure hygienic conditions in all water-wetted components of the humidification system.